“So now ladies and gentlemen it is star time. Are you ready for star time?” James Brown was known as “The Godfather of Soul” and had a massive influence of music of the time. To this day he is still influencing many different genres of music. Rolling Stone magazine listed four of his albums in their “500 Greatest Albums of All Time” list. “Live at the Apollo”, released in 1963, came in the highest at #25. They also ranked Brown #7 in their “100 Greatest Artists of All Time” list. This album is interesting in that it almost wasn’t released. His record label ‘King Records’ were not interested in releasing it as they didn’t believe that a live album with no new songs could be profitable. James Brown being James Brown went ahead and recorded it at his own expense and the record company eventually relented and released it. It was a clever move on Brown’s part. Most of these songs had already had chart success, but he knew his greatest strength was on stage and that could only be captured as a live recording. It went on to be a great success both commercially and critically and gave Brown the exposure he needed to allow his career to match the grandeur he showed on stage. Brown is known as the “hardest working man in show business” and that’s very obvious on “Live at the Apollo”. What James Brown and backing band The Flaming Flames do is to make everything seem so effortless and simple, but if you look a little deeper it becomes apparent that a lot of work goes into making it sound that way. The synergy between the front man and band is so unique… it’s as if you can almost create a picture in your head of how it would’ve been to be there watching them live just by the sound. The way Brown whips the crowd up is all part of his appeal. He has them hanging on every word as he teases them and works his magic on them. This is most obvious in the song ‘Lost Someone’ where he’s getting the crowd to join in by singing his trademarked “oooww”, following it up with a “don’t say oooww, say OOOWW!” which sends the crowd wild. Brown knew exactly what he was doing on stage and he gives the crows everything they expect and then some. The pace is frantic one moment only to change pace within a second into a ballad, all the while never skipping a beat and sounding so damn natural. 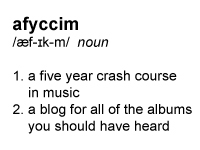 I know an afyccim album is a keeper when I’d happily listen to it again as soon as the last song ends. This album was no exception to the rule. There is such a sense of fun on “Live at the Apollo”. Gee whiz I think I might love you James Brown. OW! GOOD GOD! How much fun was “Live at the Apollo”? James Brown really bought it for this one! So much energy and charisma. The crowd certainly enjoyed themselves! The first track of the album is one of my favourites, and it doesn’t hardly contain any music! The introduction by MC Fats Gonder is brilliant. Even after I heard this album the first time, I always remember “So now ladies and gentlemen, it’s star time, are you ready for star time? !” Clearly they are, and Gonder goes into a spiel that I’m not convinced James Brown didn’t write himself. The start of ‘I’ll Go Crazy’ makes me think of an African American southern church, with the way the crowd responds to everything Brown says. And when the band starts ‘Try Me’, boy do the crowd respond! The song was James Brown and the Famous Flames first song to make #1 on the Billboard R&B charts, so I guess the audience would react like that. The horns are so important to this album. You really notice them more than any other instruments. And they’re blowing hard in ‘Think’. It’s frenetic pace dares you to not tap your foot. ‘Lost Someone’ and the ‘Medley’ lost me a bit. We were going great guns with the two minute tracks, after five I start zoning out, and there’s no hope for ten… Brown’s vocal is incredible though. So strong and almost impeccable from start to finish, which is quite incredible, considering he’s performing in from of a live audience. There’s no multiple takes going on here, kids. Now. I will finish with the most important thing about this album: In ‘Night Train’, he mentions Atlanta, Georgia. Is this the same train Gladys Knight sings about? We only ask the big questions here at afyccim. James Brown was known for his funky live sets and for filling concert halls, but his record sales did not reflect this success. It was therefore a smart move on his behalf to self-fund this, his first live album, “Live at the Apollo”. To be honest, at first I found it hard to believe that this album was ranked 24 in the Rolling Stone “500 Greatest Albums of all Time”, because, it did nothing for me. 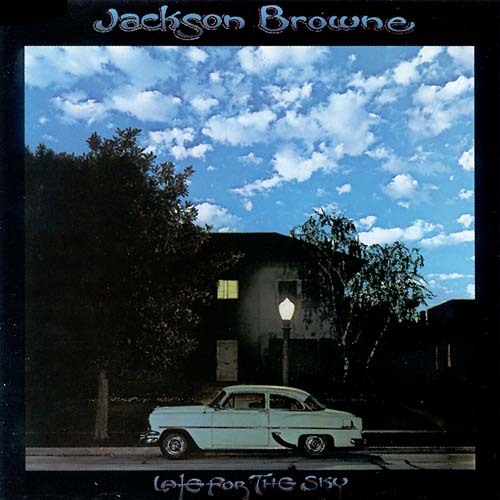 I was surprised when I first listened to the album because I had always thought that all of James Brown’s music would be super upbeat and funky, but instead “Live at the Apollo” turned out to have a bit of everything – including some mid-tempo blues numbers and a few slow and soulful ballads. The album sounds very gospel, with Brown as the ‘preacher’ leading the ‘choir’ (the audience). My favourite track of the album was the medley featuring 8 songs, including the popular blues standard ‘Please, Please, Please’, and all squeezed into a measly 6 minutes and 30 seconds. Overall, my favourite feature of the album would be the way in which Brown engaged the crowd and got them to participate (‘Don’t just say ow. Say OWWW! ‘; ‘Are you ready for the night train!?’). 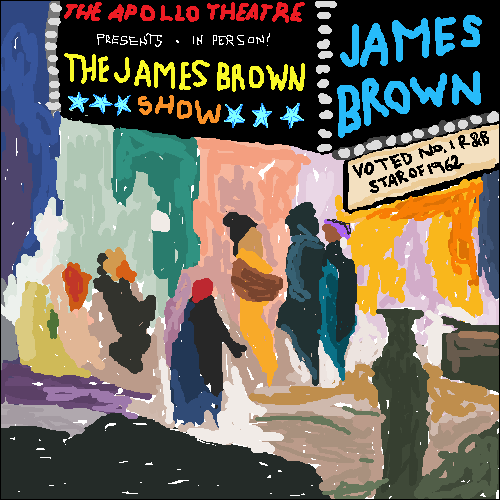 “Live at the Apollo” certainly captures the vivacious and exciting energy that James Brown brought to the stage and I can now understand why it was such a huge seller at the time. “Live at the Apollo” serves as a great example of the evolution from gospel into soul, and a hint of what was to come with Brown’s eventual blending of soul and funk. I don’t think I would listen to this album again in a hurry but I did eventually enjoy and appreciate its finer points. This album contains one of the most amazing live performances I’ve ever heard, and I’m guessing, it’s devoid of the overdubbing that would plague “live” albums throughout the 1970’s. What impressed me so much was how the band and James’ backup vocalists, The Famous Flames, were so in sync with him. I’ve heard that he was a hard taskmaster, having no tolerance for errors. Apparently he would penalise any performer who missed a cue or flubbed a part with a dock in pay. If you ever see live footage of James Brown performing and he points to a band member during a song – say, the bass player – that was his way of saying “I heard that. You’ve just been fined.” The biggest downfall of this record is that you want to see what’s going on, not just listen to it. In between a few tracks the band play a ten-second fanfare that acts as a stop-gap, so there’s always music playing. I wonder what James is doing in those moments. Perhaps briefly sipping a drink or wiping his brow? During the ten minute plus performance of ‘Lost Someone’ James goes off mic, but is still a powerful enough singer to be heard. What did he get up to then? Unfortunately this song is the show’s nadir as it just drags on and on. I did like that it ended with a quick snare drum beat that kicked everybody off into ‘Please, Please, Please’, the start of the album’s eight-song-medley. Aside from those two lengthy tracks, the songs are short and catchy. James sings with passion and has the crowd entranced, if the screams of the audience are anything to go by. There was a reason Jimmy Rabbitte showed The Commitments band members footage of James Brown; he IS soul.